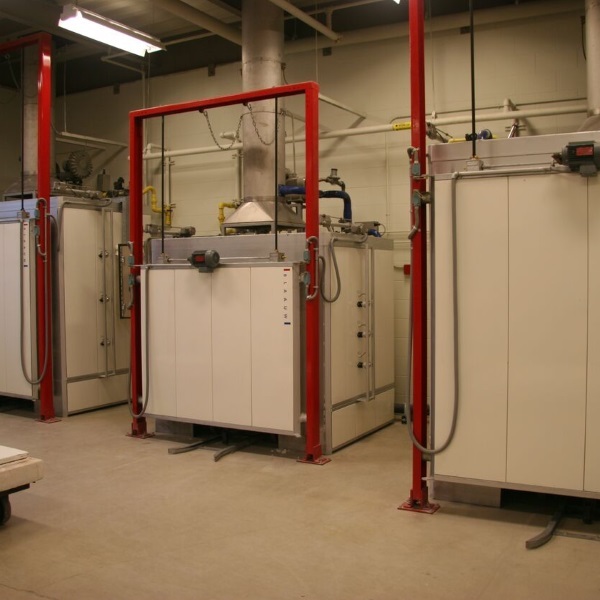 Due to our custom built approach, a Blaauw gas fired Ceramic industry furnace is one-of-a-kind. 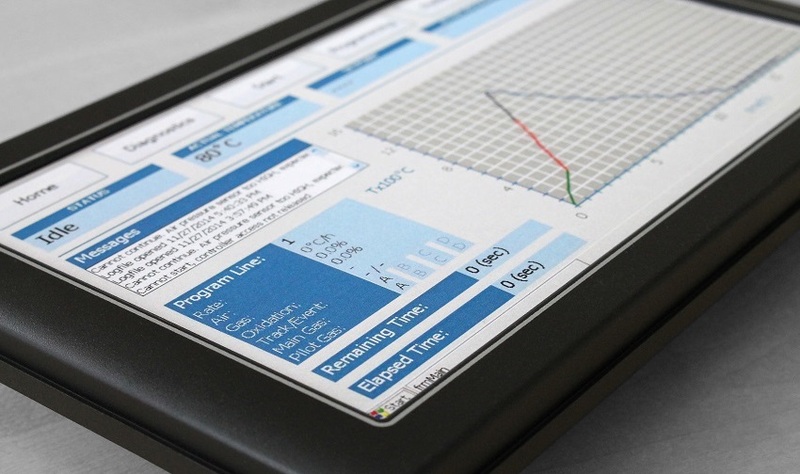 Furthermore our advanced controller will guide your furnace to follow both your temperature curve and your desired atmosphere – from oxidation to reduction. 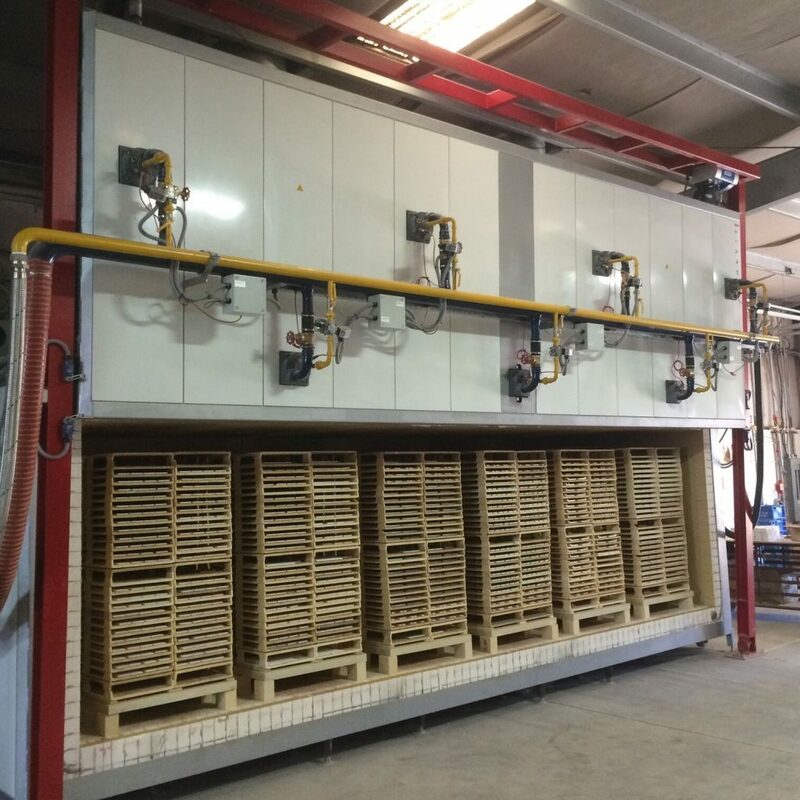 Our Blaauw automatic ceramic kilns are unique, because our advanced controller enables you to fire all your programs automatically. Therefore it is up to you! 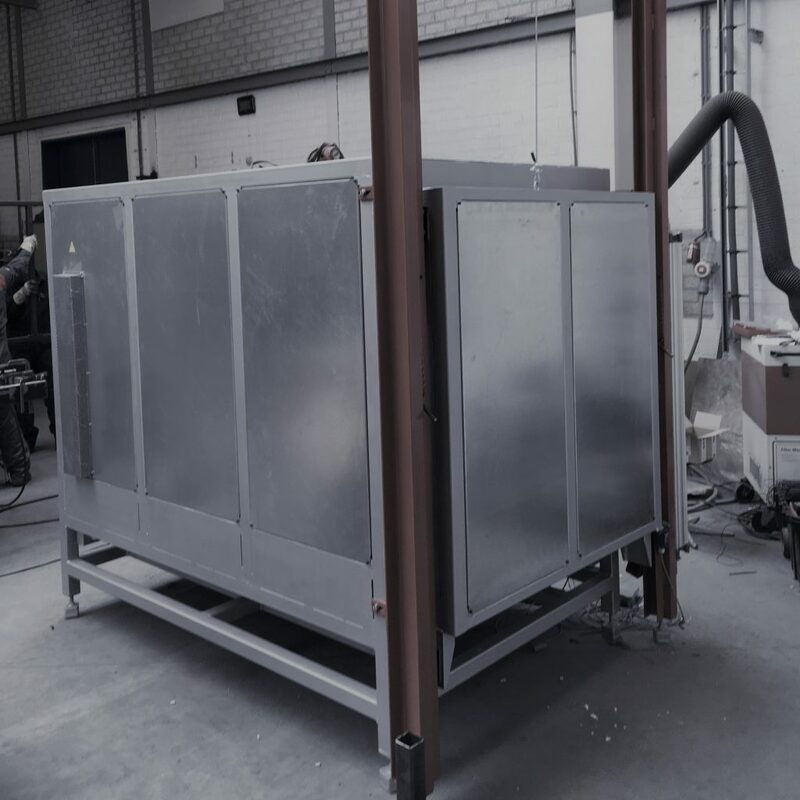 Because we design and build all clay dryers custom to our customers’ requirements, you get exactly what you need. 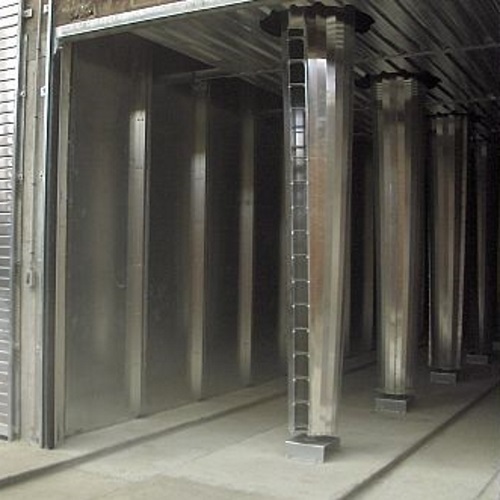 Therefore we use a drying system which is based on your products and your drying process. As a result, you eliminate the bottleneck in your production process. Because our gas fired annealing furnace is equipped with smartly placed high velocity burners, we ensure the best temperature evenness possible. As a result, the temperature differences between every spot in the furnace are minimal. Blaauw Kilns also designs and builds thermal oxidizers. Because kiln or furnace fumes could contain volatile organic chemicals (VOC) which have to be oxidized (burned) before they are exhausted. Drying, cooling, bisque, oxidation or reduction glaze firings are easy because our gas fired reduction furnaces are fully automated. 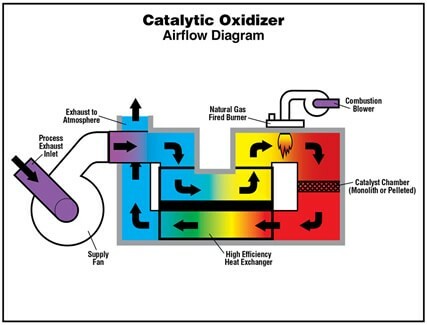 Besides “normal” reduction furnaces we are specialist in furnaces that in depth reduce clay in a 100% gas atmosphere. 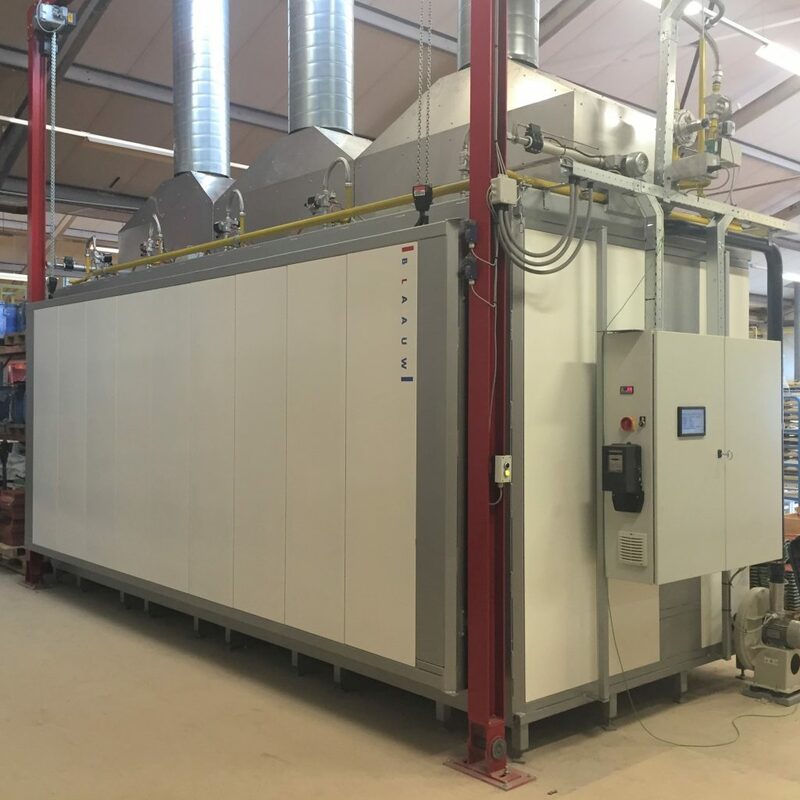 Due to the multifunctionality of our kiln controller, it controls our gas and electric kilns as well as our ceramic dryers. Because of it’s flexibility, it is suitable for studio’s, art institutes and universities as well as industrial applications. 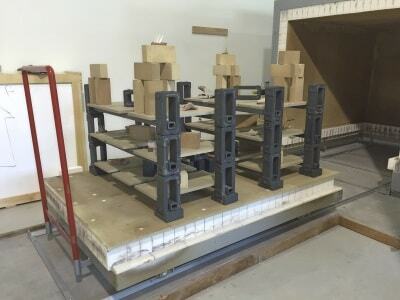 Above all, to be able to fire efficiently and safe you need kiln furniture and kiln shelves of the highest quality. Therefore Blaauw Kilns is happy to advise and assist you on the best materials, sizes and stacking systems. Blaauw kilns supplies large and small industrial kilns to various industries. Fully customized and therfore exactly matching your requirements. Above all we develop according to our motto: Think, Design Make.